Other than a vehicle for the self congratulation of its members and a power base for the Theosophical ruling elite, what is the point of the Esoteric Section? 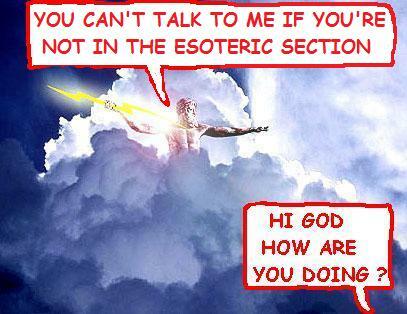 If the purpose of the Esoteric Section is to guide the Theosophical Society, it’s done a good job hasn’t it? The Society is on the verge of breaking up or simply going out of business and the Esoteric Section itself underpins a leadership that the remaining members haven’t trusted for years. Membership decline may lead the General Council to keep the presidential election voting figures secret and just announce the winner. The main function of the Esoteric Section appears to be to employ a strategy of sentencing the Theosophical Society to death by keeping it in the 1930s. Esoteric in the Theosophical sense seems to mean painstakingly creating a self absorbed group that re-enacts some glorious mythical past based on the Besant-Leadbeater tradition, and then keeping quiet about it. Is the current silence policy of the General Council a piece of Esoteric Section pomposity that has polluted the broader Theosophical Society? 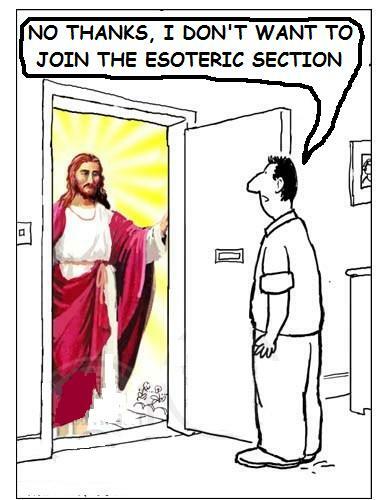 Does the General Council now confuse its role with that of the Esoteric Section and has decided to conceal current difficulties by introducing Esoteric Section methodology into the running of the Theosophical Society? Or is there now no difference between the General Council and the Esoteric Section as they are reorganised as one body to exclusively protect the interests of the Theosophical ruling elite. to join are extended to suitable people. Belief in a divine authority to rule and a negation of accountability are also attributes that are easily transferrable from an esoteric elite to an elected management committee. The Esoteric section has always represented itself, and clearly from their refusal to communicate or allow discussion, the General Council now only represents itself in the same manner. The interests of the Theosophical Society and its members are no longer in the frame. It is also possible the General Council's attempt to impose silence and stifle discussion reflects a decline of the Esoteric Section to the point of collapse, and merging with the General Council would restore its power and ensure its continuation. Decline to extinction is hard to accept for an outfit that once claimed high initiation could lead to membership of a world government. Radha Burnier may have seen the merger coming and intended to discontinue the leadership succession of the Esoteric Section by not naming a successor, and it is a sign of the opposition to the power and influence of the Esoteric Section, within the Society, that this information has come into the public domain. The division between spiritual and administrative authority has already become blurred in the Theosophical Society in England with the proclamation by the National President as self appointed Spiritual Head of the section (2009/10 Winter edition of Insight Magazine page 3). It is hard to believe that such a move did not have the approval of the General Council. Openly claiming spiritual authority really will change the nature of leadership in the Theosophical Society and can only be regarded as a strategy for increasing its power and reducing its accountability. All this continues while the membership walks away. As it becomes obvious that the General Council has devalued membership from the status of “member of a society of members” down to that of “follower” with no right to participation in the running of the organisation, more and more members are deciding not to renew their membership. The General council cannot be unaware of this trend but must believe that it is a price worth paying to establish full unaccountable power over the Society, and to conceal whatever dire news is currently being hidden.